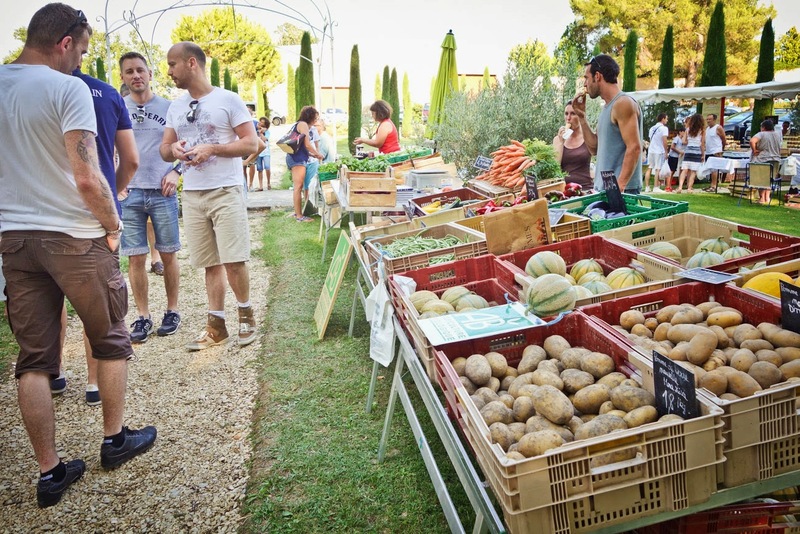 Open-air markets are a way of life in the South of France and in particular, Provence. 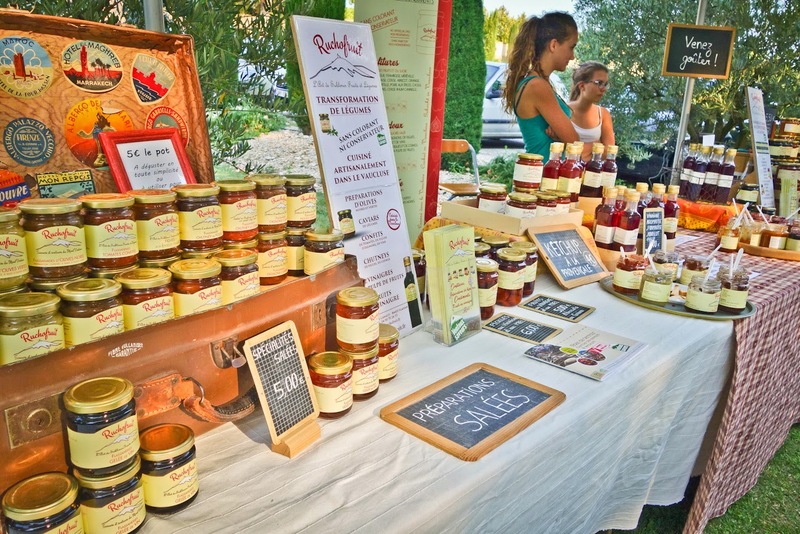 The market provides the community an opportunity to acquire their weekly goods but it also is a social event strengthening ties between members of the community, it's farmers and producers. 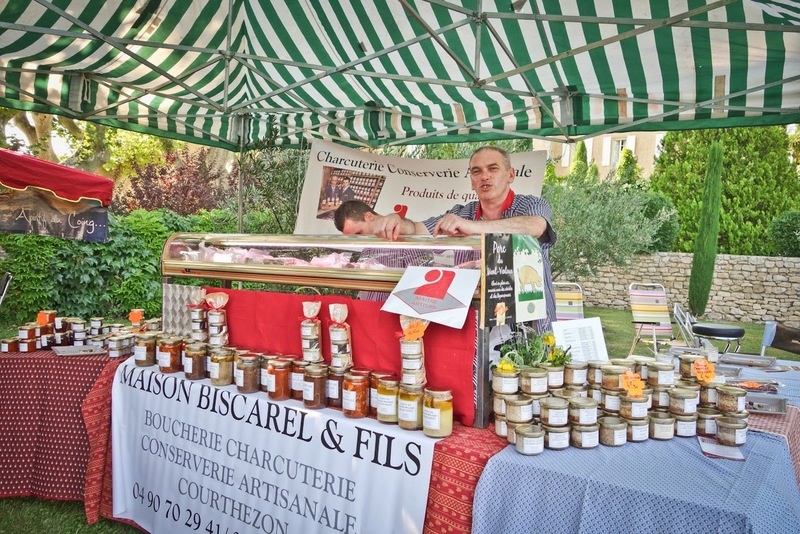 At a typical Provencal market you can find an endless array of goodies from local foods (cheeses, pastries, produces and meats etc) to local nougat, honey, tapenade, spices to clothing, art, antiques, skincare, lavender and crafts (and the list goes on and on!). 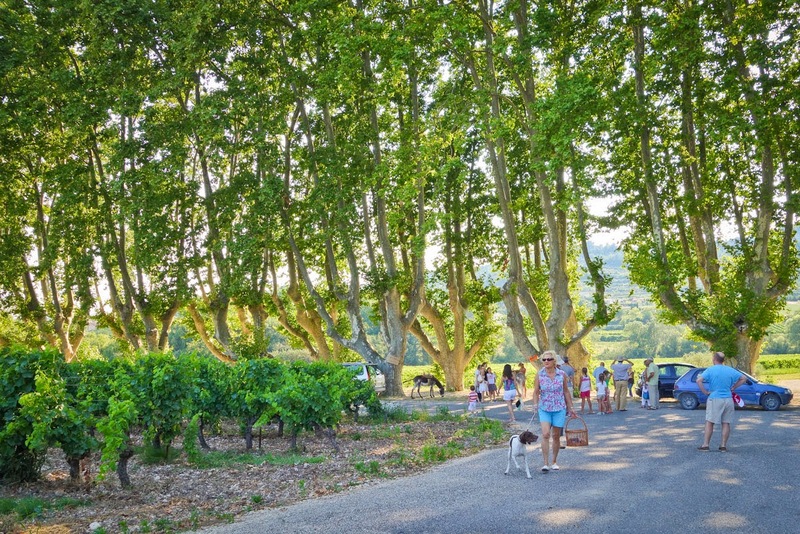 Every year the celebrated winery and estate Château Pesquié holds their lively open-air market the last two Thursdays in July and the first Thursday of August. 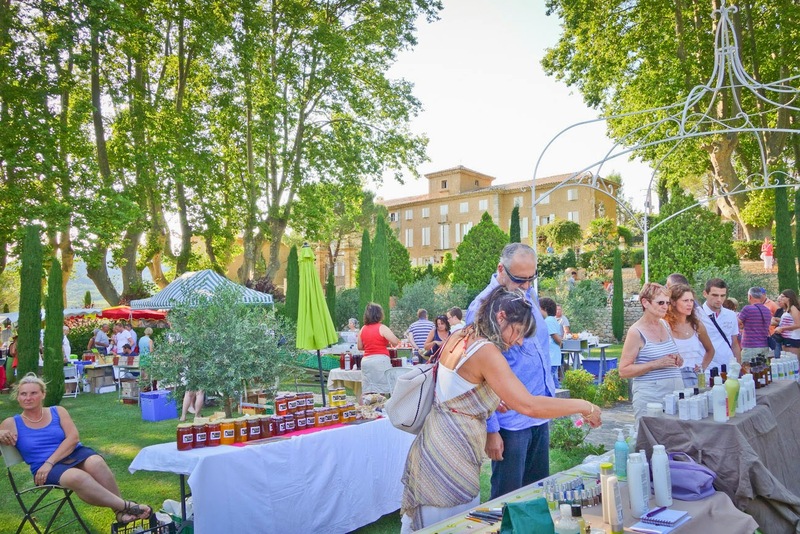 Located in the village of Mormoiron at the foot of Mount Ventoux in the Rhone Valley, this event is not only great for stocking up on local fresh products, but it is also a great event for the entire family. 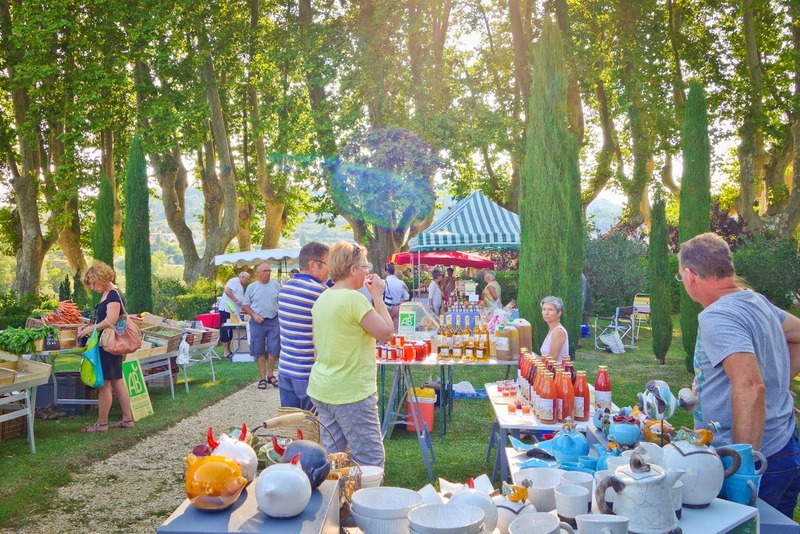 Set against the Château surrounded by vineyards the market is open from 4:00pm-7:00pm and locals as well as tourists arrive by the hundreds to take part in the festivities. Like every good market-goer, you can’t forget your sturdy basket (or in this case, your best friend too..woof)! 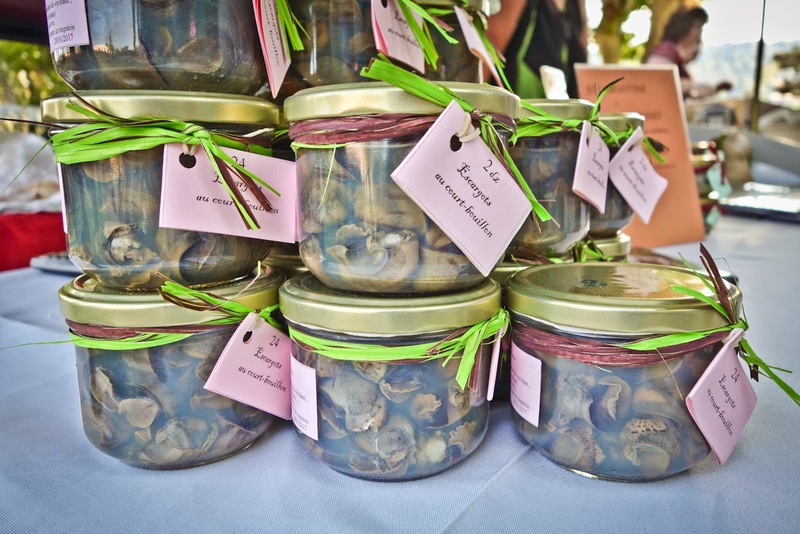 Each of the 25-30 vendors are happy to talk about their products as well as have you taste them! Free samples to try are the norm! 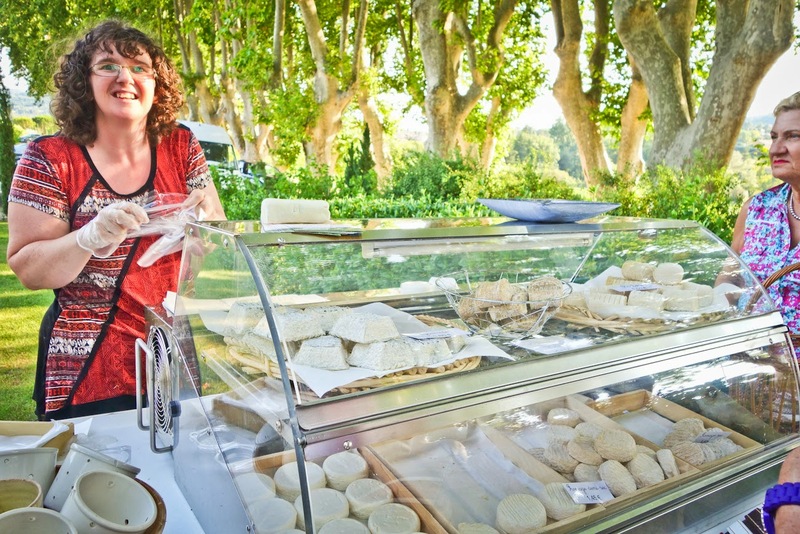 Provence is known for its delicious organic and fresh produce. 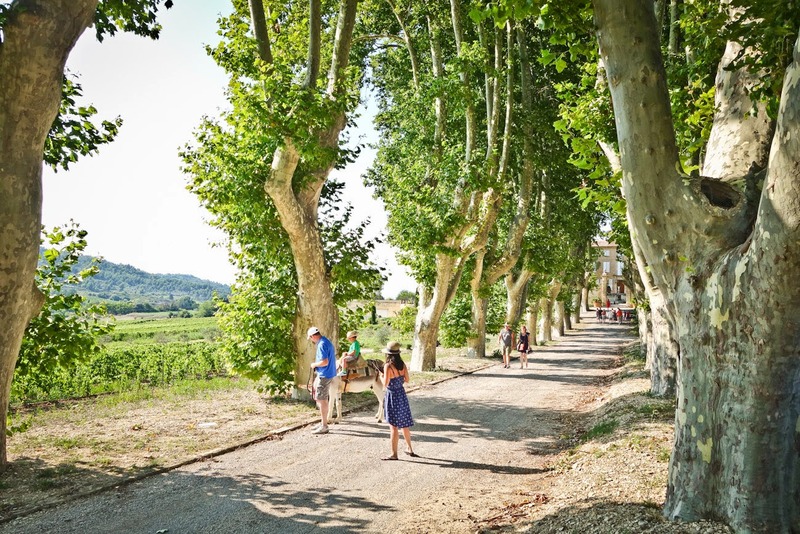 One of the most popular fruits of the region comes from the near by village of Cavaillon (which is approximately 20 miles from Mormoiron), the famed Cavaillon mellon! And because we are in France we can't forget about Escargot! These bad boys have been cooked and seasoned in broth! Charcuterie and Terrines are a must at any good market. This butcher of Maison Biscarel has made it a family affair passing on his knowledge and skills to his son (who works closely beside him!). 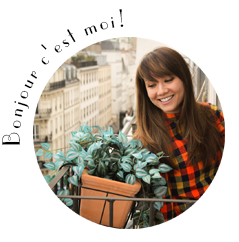 My favorite purchase of the day was from La Ferme de Margolive. Most cheese in the area are made from goats. 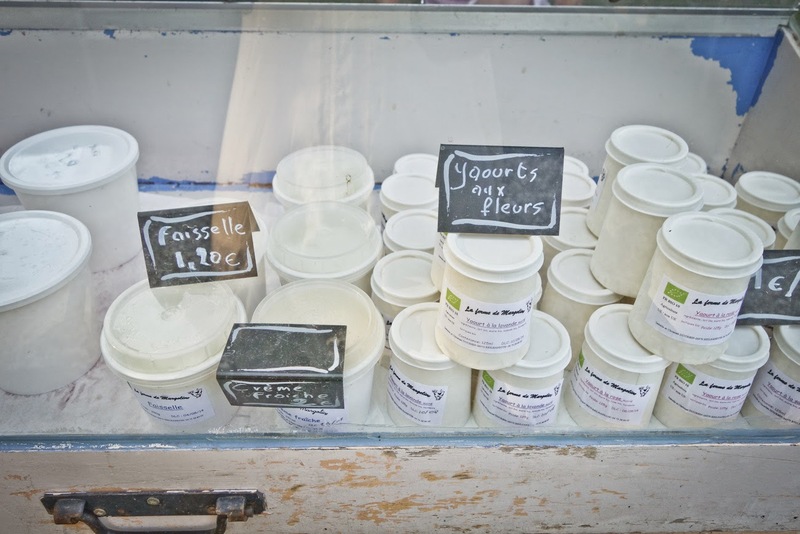 However at La Ferme de Margoline, located in a little village called Reilhanette, they make their produce from cows. Their sage, rose and lavender yogurt was divine and I couldn't get enough of the stuff! None of the yogurt or cheese from la Ferme de Magolive are pasteurized which is unsuitable for expecting mothers but harmless for all others! Yum yum! 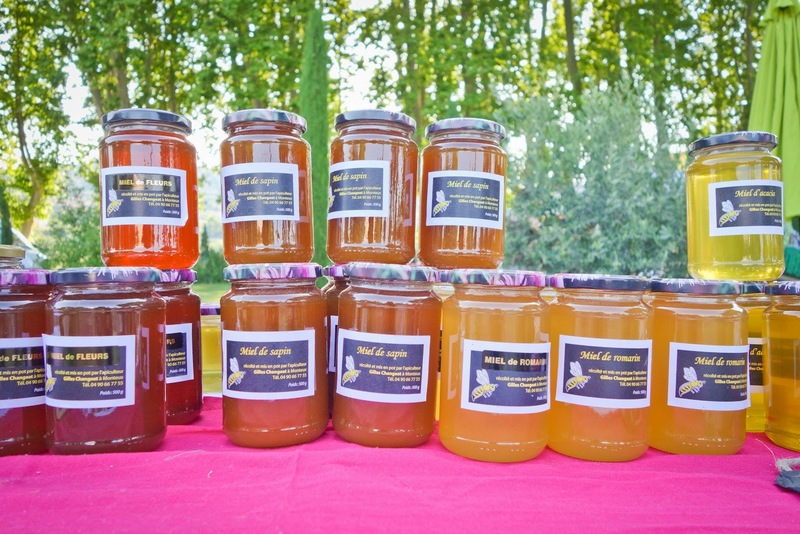 Local lavender, wild flowers, herb and acacia honey! An assortment of salts, tapenades and jams! 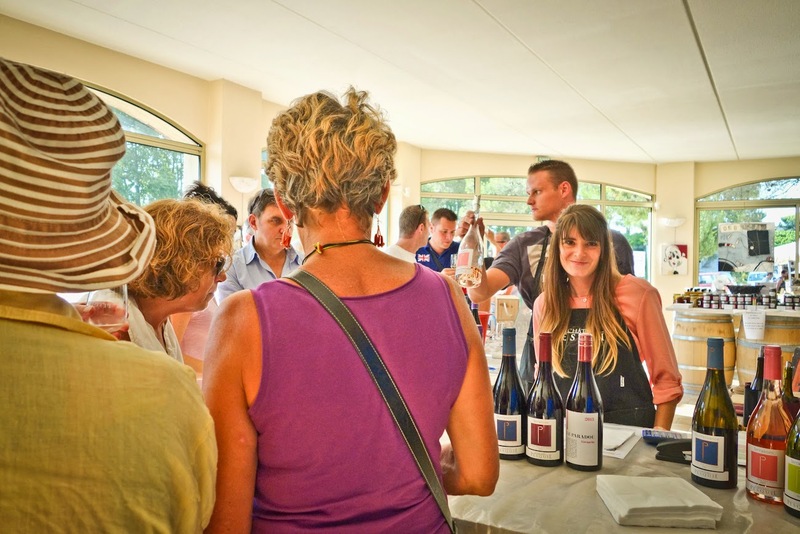 And of course because the market is held at a winery, the cave of Château Pesquié is open and ready to provide visitors with free tastings! 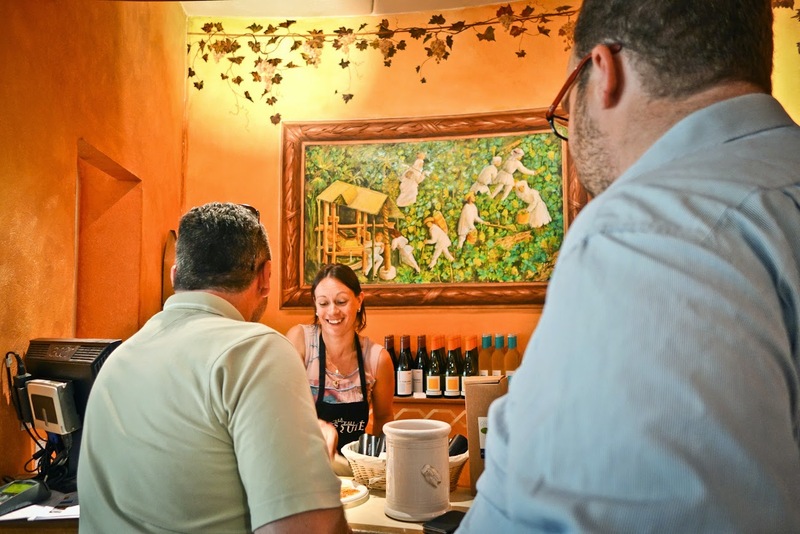 The winery's tapenade, olive oil, spreads, spices, jams etc. are also available for visitors to try! 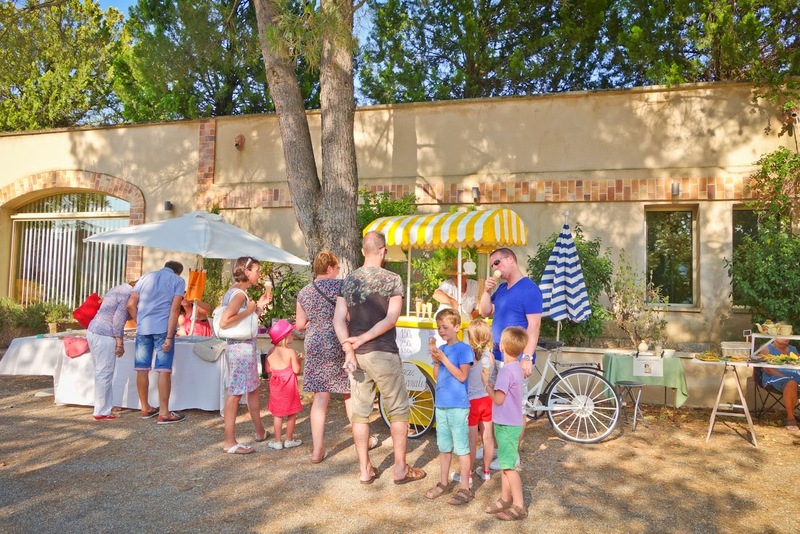 And for the kids (and adults), there is homemade ice cream to help with the heat! 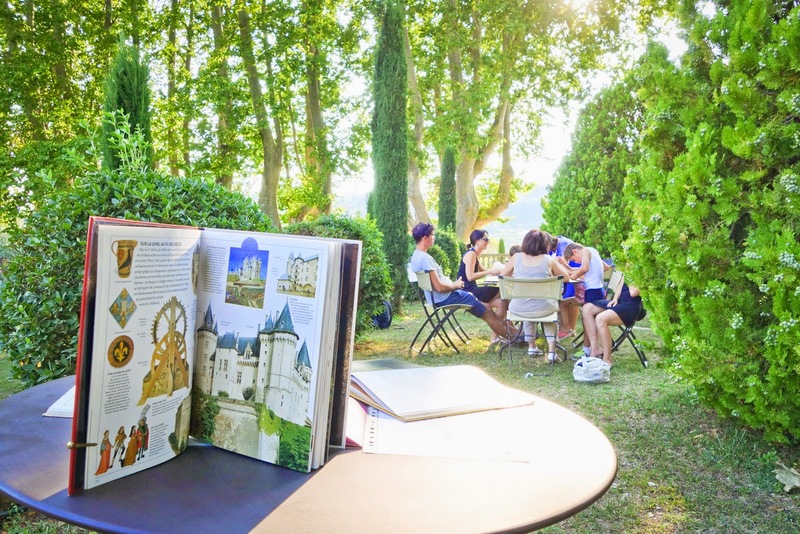 For French speaking children, there is a story session lead by a teacher who reads to the families. After the reading is completed activities and crafts related to the story are given. A fun way to learn! 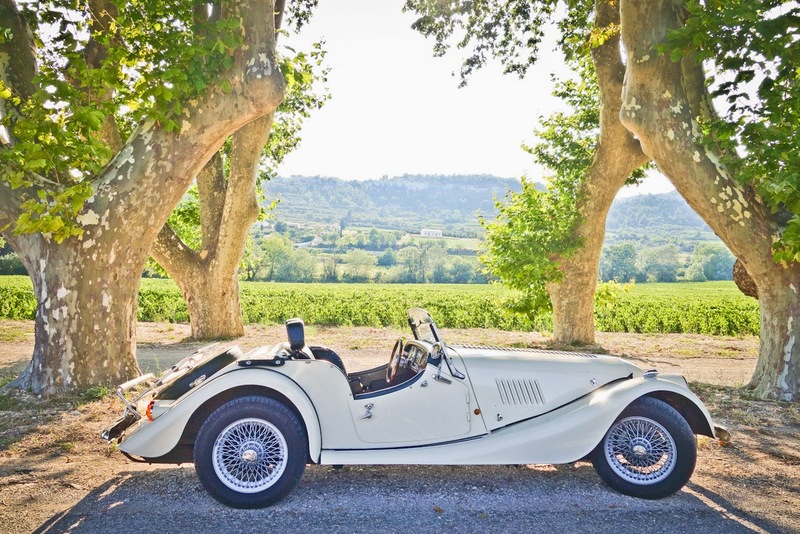 And at the end of Château Pesquié's open-air market, each guest receives and drives away with this vintage beauty! Well...ok, perhaps this is not true but as a visitor you do drive away with a belly and car full of goodies as well as a heart filled with warm and happy memories of your time at the market. See you next Thursday for another evening of fun!